No matter what the goal of your diet is and no matter what terrible sources of information you’ve been exposed to, the single most important part of every single diet plan is calories. Or, more specifically, your total daily calorie intake. Like I’ve mentioned before, calories are everything. They are the true key to an effective diet plan regardless of any other aspect of it. No other dietary factor influences what your body does anywhere near the level that calories do. In fact, your daily calorie intake is the only diet component that will truly differ or change based on what your goal is. Meaning, once everything else (protein, fat, carbs, etc.) is set to an optimal percentage of your calorie intake, it can all remain set that same way and you’ll still lose fat or build muscle or do whatever else you are trying to do without any problem. The only significant dietary difference between goals is total calories. See, everything we eat and drink contains calories. 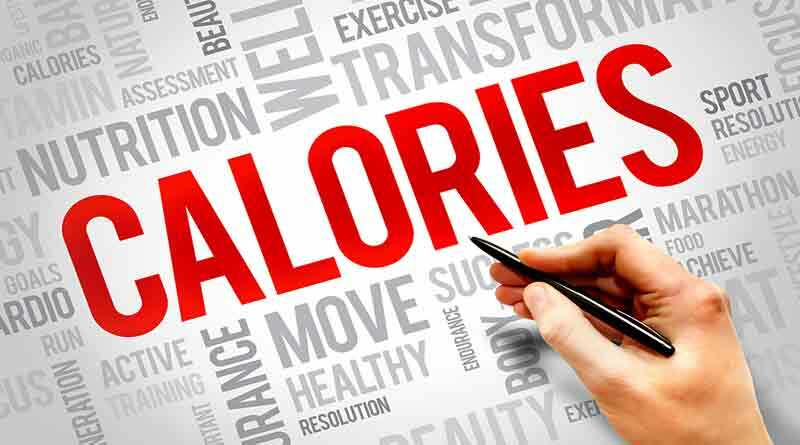 With the exception of obvious stuff like water, all foods and drinks contain some amount of calories and go on to make up our daily calorie intake. On the other hand, everything we do burns calories. They are what our bodies use for energy to do everything we need to do. From intense exercise like weight training and cardio, to simple daily tasks like standing, talking and brushing your teeth. In addition, your body actually burns a significant number of calories each day on its own just keeping you alive and functioning properly. You know, doing stuff like breathing, pumping blood, digesting food, etc. What you just learned is the back story that serves as the basis for the most important part of your diet. Above all else diet related, the results you get depend most on your body’s battle between calories in and calories out. And what I mean by that is, what your body will do (lose weight, gain weight, maintain weight) is decided by which side most often wins this battle. In this scenario, there is what’s known as a caloric surplus. In plain English, this means you consumed more calories than you burned and there was a “surplus” of left over calories that never got used. In even plainer English, you are eating more calories than your body knows what to do with. It already burned all of the calories it needed to burn and used all of the calories it needed to use, but you are still continuing to give it even more calories. Since your body has no immediate use for these excess calories that you are consuming, there is only 1 thing it can do: store them on your body in some form. See, your body is pretty smart. Since it uses calories for energy, it will use whatever calories you consume to perform whatever tasks it needs to perform on a daily basis. Now this first scenario is pretty obvious. This is, after all, how fat people get fat in the first place. They eat too much, and that results in a daily calorie intake that is too high. Meaning, they consistently consumed more calories than their body’s needed, so the excess was stored in the form of fat. So, for anyone who has ever gained any amount of fat, this is how and why it happened. You consumed more calories than your body burned, and those extra left over calories that were never used for anything were stored on your body as fat. This second scenario might surprise and confuse some people. But, it really shouldn’t. You see, muscle can’t be built out of nothing. As you can probably imagine, creating new muscle tissue requires a lot of energy and therefore a lot of calories. Meaning, in order to build any amount of muscle, your body needs additional calories beyond the amount that it usually needs. In this case, those excess calories will be stored on your body in the form of muscle. In this scenario, there is what’s known as a caloric deficit. In plain English, this means you burned more calories than you consumed and there was a “deficit” of calories. In even plainer English, you are not supplying your body with all of the calories it needs. It already burned/used all of the calories you consumed, but it still needs more. Since you are consuming less calories than your body needs, there is only 1 thing it can do: find some alternative energy source on your body. Like I said before, your body is pretty smart. It will use whatever calories you consume as energy to perform whatever tasks it needs to perform on a daily basis. If it still needs more calories beyond that amount, it’s going to use the calories that it previously stored on your body. Now this first scenario is pretty obvious again. This is, after all, how you lose fat. You eat less, which results in a lower daily calorie intake. Meaning, you consistently consume fewer calories than your body needs, so it uses your stored body fat for energy instead. So, for anyone who has ever lost any amount of fat, this is how and why it happened. You burned more calories than you consumed, and this forced your body to dip into your fat storage and use/burn your own body fat for energy. And again, this second scenario might surprise and confuse some people. But, it really shouldn’t. Like I said, muscle is really just calories that were stored on your body. You may like it much more than fat, but your body doesn’t really care. So, when you are in a caloric deficit and your body needs to find some alternative energy source, it WON’T just completely ignore your muscle tissue and only use fat. It can (and will) use both. That is the basic understanding of how calories are king. Next Post: Here’s Why You Shouldn’t Cut Carbs..